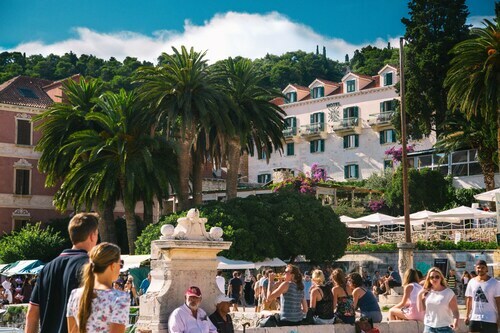 Expedia's Hvar holiday packages help you save! Bundling your reservations will give you more cash to splurge for your amazing adventure. Smart vacationers who secure a package deal on Expedia can save up to 15%*. In a matter of minutes, you can book everything you'll need for your next adventure through our enormous database. And — with more than 400 partner airlines and 321,000 properties from all over the world, you'll have the freedom to be fussy! 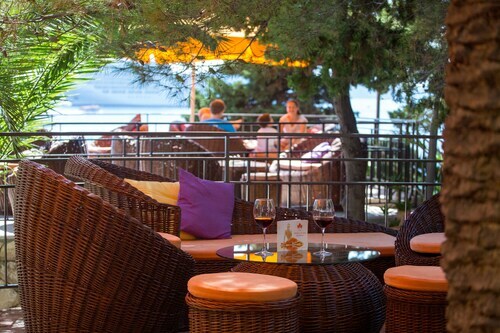 Preparing for your trip to Hvar? Want some info about what to see while you're there? That's where we can help! Are you searching for even more reasons to fall deeper in love with this city? 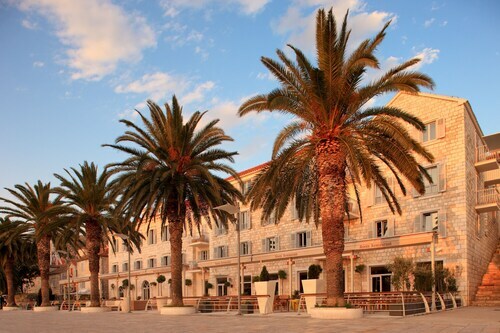 Hvar Fortress is an outstanding attraction that will surely leave you enchanted! In the mood for a postcard-worthy evening by the shoreline? Unfold a picnic chair and find a good vantage point to bask in a brilliant ocean sunset at Jerolim Beach. Visitors in this destination have an abundance of choice. Public squares can tell many tales. Stroll across well-trodden footpaths and hunt for clues to the past at St Stephen's Square. Still got some time to spare? Check the service times at St Stephen's Cathedral. While you're here, why not take a couple of moments to sit and concentrate on a quiet prayer. Reclining on a beach doing not much at all sure is nice, but there's nothing like having a go at amazing new experiences on your holiday! 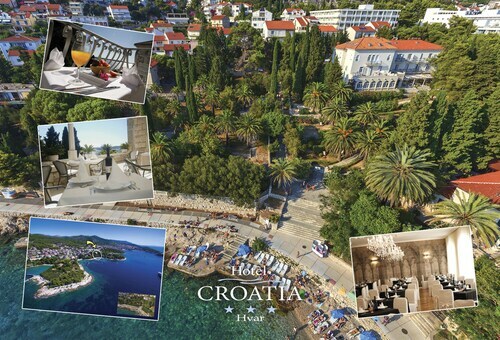 Take a look at our Hvar things to do page for a full list of activities. There's nothing nicer than winding down after a day full of adventures. 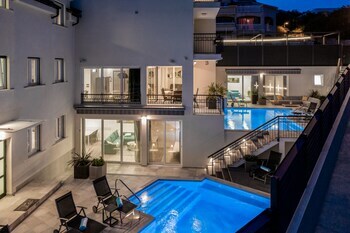 There are as many as 36 properties in Hvar, so getting a comfortable bed for your luxury getaway or cheap holiday won't be hard. 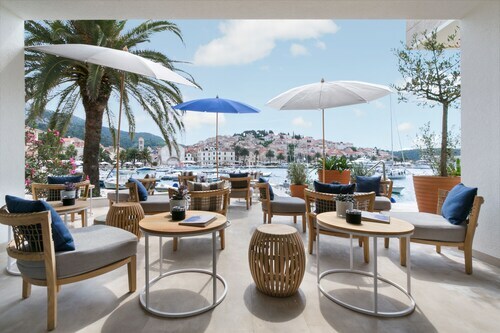 If the thought of a lavishly stocked minibar and a swish bathtub sounds good to you, grab a glass of wine and steep yourself in luxury at the Adriana Hvar Spa Hotel (Obala Fabrika 28) or the Amfora Hvar Grand Beach Resort (Ulica biskupa Jurja Dubokovica 5). The Delfin Hvar Hotel (Obala Fabrika 36) and the Youth Hostel Villa Marija (Ulica Lucije Rudan 7) have good reviews if you're in the market for something cheaper. 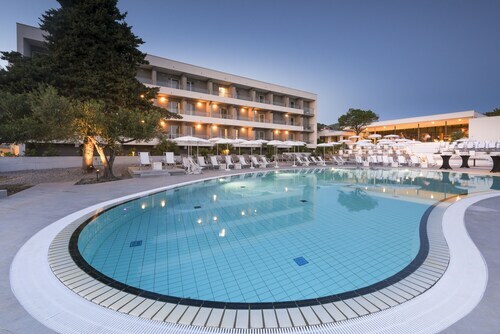 The airport probably won't be the most enjoyable part of your holiday, but there's nothing like the feeling of knowing that your well-earned trip to Hvar is just a plane ride away! Once you take off your seatbelt at Brac Island Airport (BWK), you'll be 14 miles (23 km) from the heart of town. Great location and nice sea view. Breakfast was also very good. Beautiful view right in the centre of Hvar town. Breakfast is comprehensive and complimentary. Note that the property next door is under construction which causes for some noise as of October 2018 but the rooms are very soundproof! Opt ofr a balcony! We had a great experience!!! Can't wait to visit again!